on MAY 5th, from 2-4 in the afternoon. MYSTERY CATS is a new series by ROBIN DAVIS, and part of the STORYTELLERS exhibition at pb&j Gallery in Kirkwood that runs until May 18th. Join us on May 5th for Robin’s gallery talk with a special guest, renown Atlanta PET PSYCHIC Kelly Goff, when all the Cat Secrets will be revealed. Robin Davis will discuss her in-the-moment attitude that allowed her to commune photographically with each cat in their surroundings, to compose with visual resonance and to get each cat to express some of their own unique persona to her camera. Renown Atlanta PET PSYCHIC, Kelly Goff will READ each Cat’s photograph to reveal even more… perhaps behind the scenes Stories and Details of each Cat’s life in their little village, their human friends, or even their deepest thoughts. 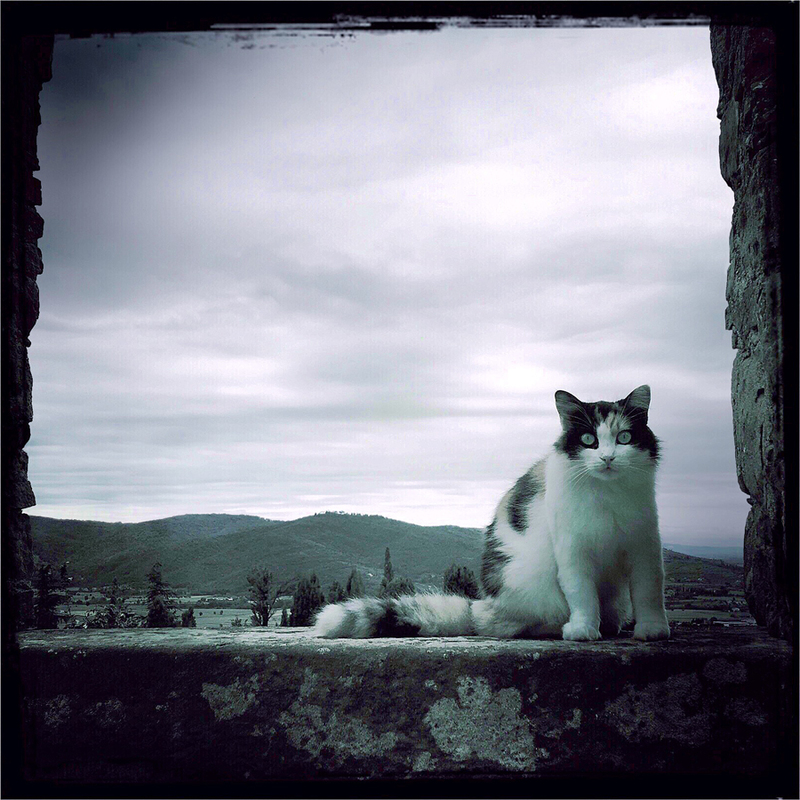 It’s France vs Italy in this series of photo compositions by Robin Davis, where the cats rule. Each village has a favorite feline ambassador to greet us, the one who knows all the town secrets and alleyway passages. Will they tell?